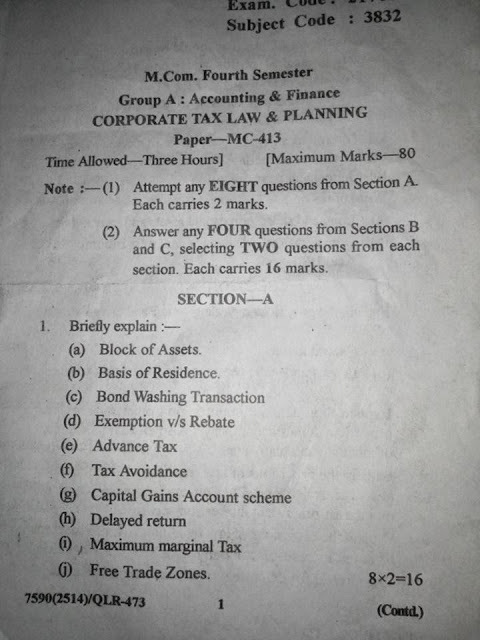 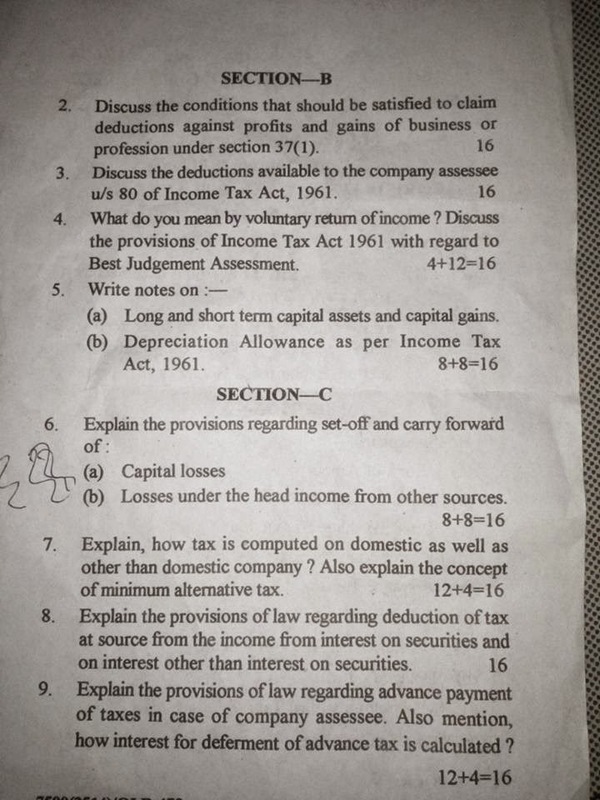 This is last year exam paper of Corporate tax and planing of MCom 4th sem gndu. 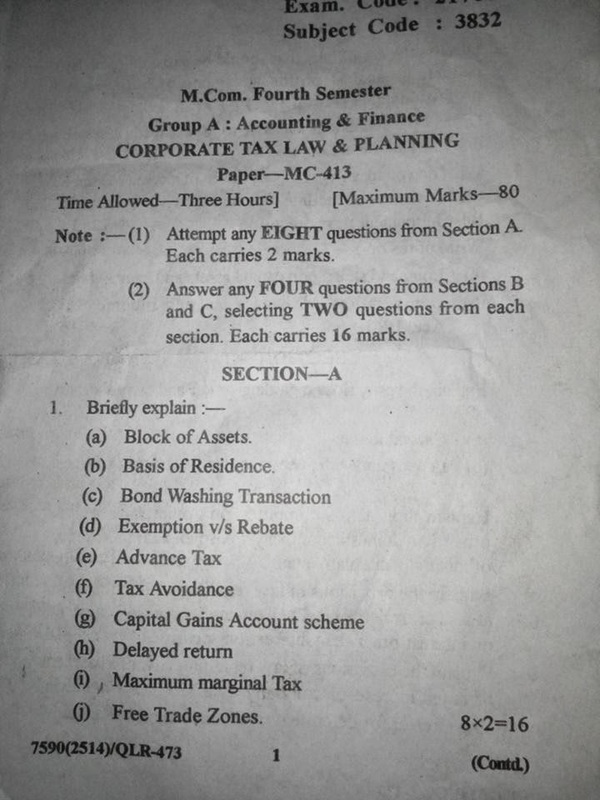 Prepare all question which is mention in this exam paper. 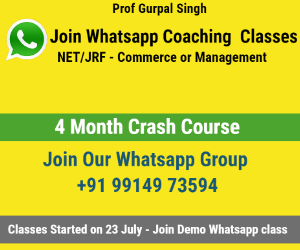 Dont Forget to Comment On This POST.